With the original in 2013, Outlast presented one of the best modern horror experiences in a world where indie titles such as Amnesia, Slender, and more have given a whole new life to the pure survival horror experience. In the upcoming Outlast II, players will once again return to the horrors of being alone, armed only with a video camera at their disposal. In that sense, the game is a pseudo-sequel that presents a whole new story using the familiar gameplay of the original and upping the scare factor by quite a significant factor. During this weekend’s PAX East 2016, we had the chance to check out a hands-on preview on the event’s show floor in the best possible way. By that, I mean the worst: inside a dark demo booth with the lights out, headphones on, and only the sounds of the game (and the occasional screams and obscenities from other demoers next to me) heightening the experience. As a lover of horror games, Outlast gave me quite the thrill when I first played it about two years ago thanks to its fine balance between scariness (even with the heavy reliance on jump scares) and the game’s core mechanic of using a video camera to illuminate darkened areas — the latter creating a night-vision green hue to not only help players see in the dark, but give the game a genuinely creepy aesthetic. In those ways, Outlast II very much feels like an extension of the original game, but with a much clearer emphasis on atmosphere and dread to support it. Starting from what seems like the beginning of the game, Outlast II puts players into the role of one of two investigate reporters in Southwestern America investigating a series of murders tied around what appears to be a mysterious cult, which soon leads way to far more disturbing circumstances and events. Our demo lasted only about 15-20 minutes, but even in that short time Outlast II didn’t pull any punches when it comes to its main emphasis on scares and creating a sense of dread and tension. Armed with only the video camera for illumination in the dark, camera batteries become the most vital resource for players as they explore the various environments and hide from terrifying enemies. As such, there’s a palpable tension between having to use the camera to light your way but also preserving its batteries, which (more often than not) leads to some frightening encounters not just in what may lie ahead of you, but in the knowledge that something is coming and your battery is nearing 0%. That tension pretty much defined my experience with the demo of Outlast II right from the beginning, as the demo brought me through an abandoned rural town with empty buildings and lots of evidence that things have clearly gone awry. Winding my way through the creepy village only lead to more horrors awaiting for me in subsequent environments. The scene was peppered with the sounds of screechy, violently throw open lockers in an abandoned school building to (easily my highlight of the demo) a chase through a giant cornfield that was equal parts thrilling and terrifying. Even as I was running through the cornfield with a quickly-draining battery, Outlast II ups the scares compared to the original sheerly through its visual and audio presentation, which presents its creepy environments with plenty of bloody and grisly detail to find. From the eerie village to the grainy camera viewfinder that players have to use to see in the dark, Outlast II oozes with gritty detail and polish. Not to mention the game seems to hint at more supernatural elements that may take place (though I won’t say too much more so as not to spoil the experience). 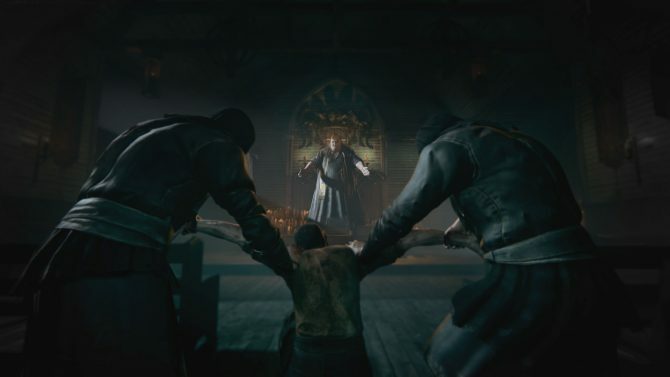 With the original title bringing one of the best horror experiences of the generation, Outlast II certainly has a lot to live up to while also having to provide enough scares and experiences to enjoy in its own right. 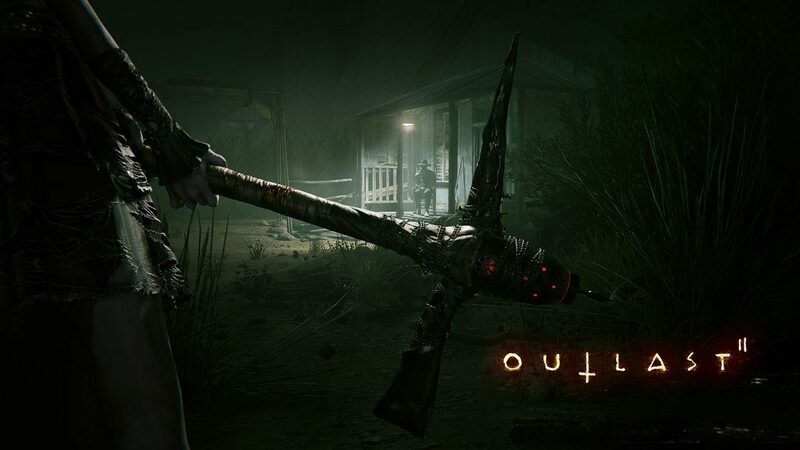 While the gameplay in our demo doesn’t shy too far away from the original (at least that we’ve seen so far), if the set-pieces we saw were any indication, Outlast II at least seems it will more than live up to the many tense, frightening encounters I fondly remember from the first game. Suffice it to say I’ve never been more anticipated to be so terrified, and hopefully Outlast II is capable of bringing those fears back once more. 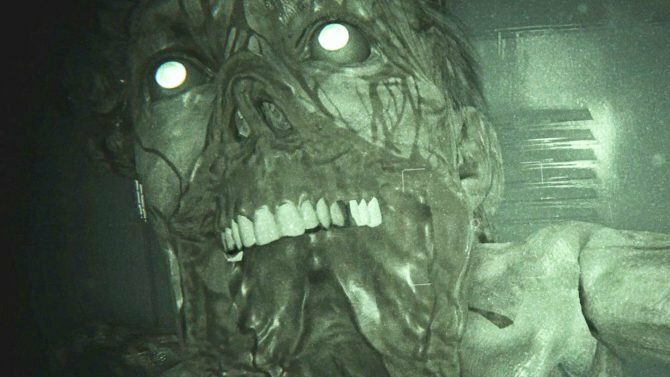 Outlast II releases for PS4, Xbox One, and PC in Fall 2016. Outlast developer Red Barrles has revealed that the first game is available now on the Nintendo Switch, while pre-orders for its sequel are now open.